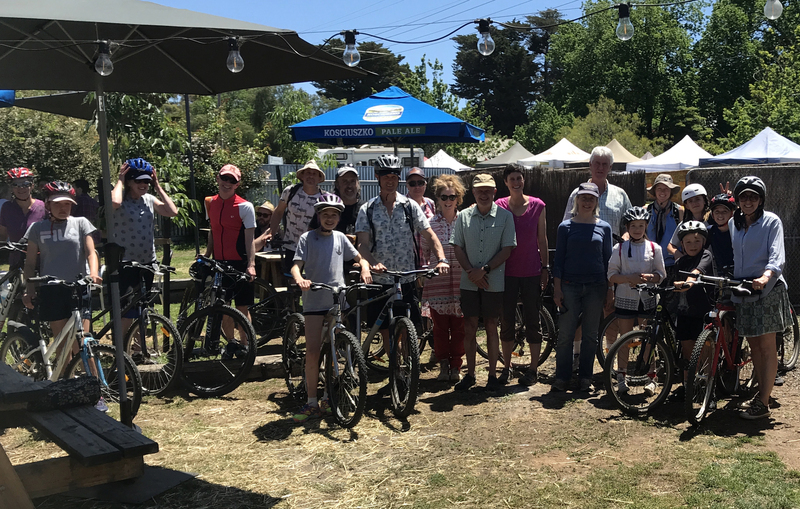 We had a lovely bike ride on Sunday 11th November, and enjoyed a meal at the Kangaroo Hotel in Maldon before riding back to Muckleford Station. Thanks to our members, some of their friends, and even a new member for attending. -the Bassett Creek Stage 2 project funded by the NCCMA has been finished, the report submitted, and acquitted. We have a bit of money left which we will use to buy more plants for Bassett Creek residents. A formal financial acquittal report will be presented at the AGM, along with a Treasurer’s report. -Matt from BushTech has been paid for the weed treatment as part of the MASC Roadside Weed Grant 2018. Applications are open for the 2019 grants and Matt and Beth will work on the map of areas to be treated and what weeds are present. -We have finished our community education for the year with our final event being the water in the landscape workshop (notes will be made available). -Our next event is the Christmas party and AGM. All committee members who hold positions are willing to stand again (Nev, Dave, Beth and Eleanor) as well as our ordinary committee members (Richard, Chris, Paul H, Albi) with Emma stepping down. Members who want to join the committee as ordinary members are welcome. Details of the Xmas event posted separately.